I am not a rock hound, however I must confess a personal interest in finding turquoise. 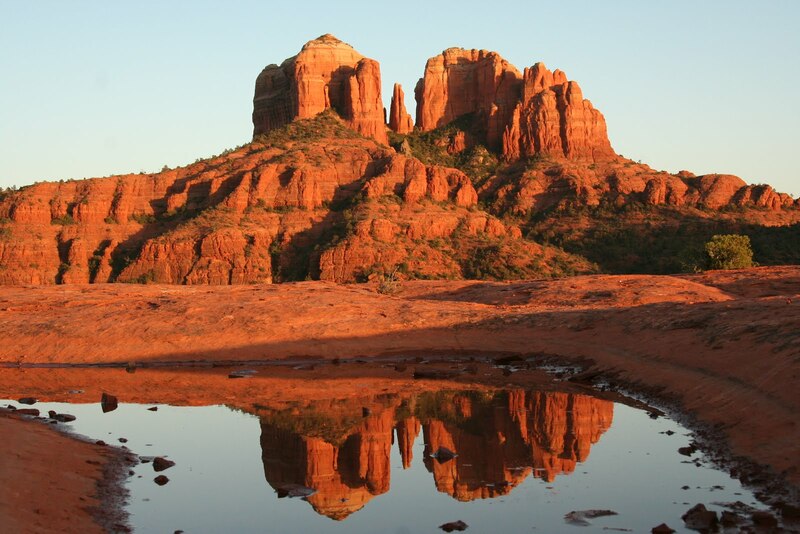 The Apache in Arizona held that the blue stones were precious. 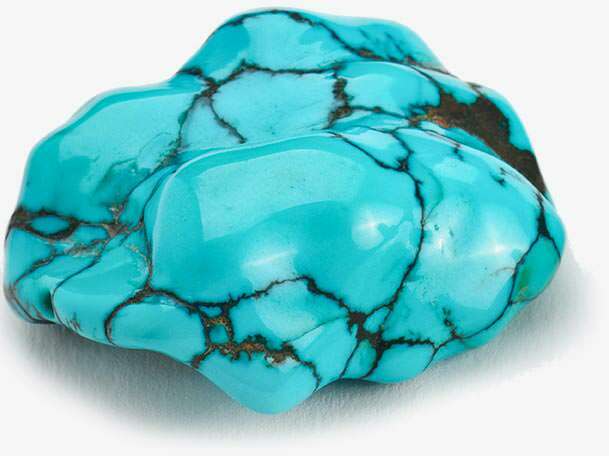 There are places in Arizona where I found turquoise in the past so I went there. I didn't find the stones, but I reflected on the history of the region, which was also a reason for my trip to the area. The heat of early summer can be daunting, but it serves to remind all present of the struggle that is present in the Sonoran Desert...the balance of life and the presence of abundant animal life even in the presence of adversity. Adversity and conflict resulted from the clash of cultures - when machine-age Europeans came into contact with Indians in the Southwest (as elsewhere). Nal-Tzuch-chi or Nal-Tzuci-ei-ah (right) was a spy for General George Crook, in the course of his campaign in Mexico in 1883, against the Chiricahua Apache. His nose was cut off. 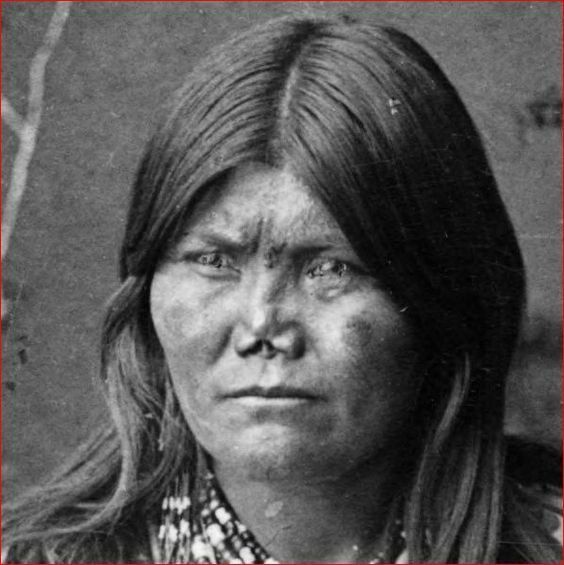 The "dirty nose" mutilation was used to indicate people who were unfaithful in marriage. Field campaigns by any military force in history were carried out based on practical considerations for a number of things, most of which had very little to do with martial splendor. Uniforms that worked well on the parade ground or in set piece battles such as those encountered regularly in the War of Northern Aggression/Civil War, were not necessary in the West. It was easy to tell the difference between a white man and an Indian. General George Crook*, veteran of the War Between the States, the Crazy Horse Campaign (where Custer's 7th Cavalry Rgmt. was thrashed), and the Geronimo Campaign. While in the field in the West (including the campaign against the Souix), General Crook rode a mule and wore a brown tweed suit. Pictured left, he favored a sun helmet in hot weather. Usually he carried a shotgun for point defense work. In this photo, he's mounted, next to Sergeant William Alchemy, an army scout. * George Crook (1830-1890) graduated near the bottom of his class at West Point in 1852. Crook saw duty during the Civil War at Second Manassas [Second Bull Run], Chichamauga, and in the Shenandoah Valley, including Cedar Creek. In 1871 Crook was assigned to the Department of Arizona. He was transferred to the northern plains in 1875. In 1882, Crook was reassigned to command the Department of Arizona once again, where he engaged in the search for Geronimo until 1886. He was relieved of command and replaced by General Nelson A. Miles, who believed that the only good Indian was a dead one. For the remainder of his military career, Crook, fought for the release of Apache scouts who had faithfully served under him in Arizona and were rewarded for their efforts by bing imprisoned in Fort Marion (now Castillo de San Marcos) in St. Augustine, Florida or in Fort Pickens, Pensacola, Florida. After being relieved of command in Arizona, Crook served as Commander of the Department of the Platte until 1888 when he was given command of the Department of the Missouri where he served until his death in 1890. Upon learning of Crook's death, Red Cloud, Makhpiya-Luta (1822-1909), said: "Crook never lied to us. His words gave the people hope. He died. Their hope died again." 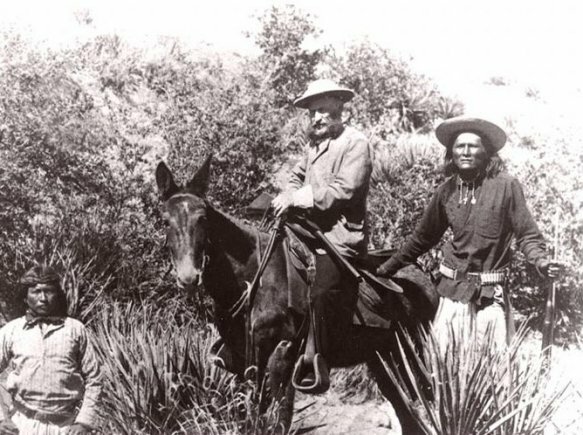 Geronimo, stands on the right, and some Apache warriors. Notice their high leather boots made of soft leather. They would roll the soft leather tops up past their knees to protect them from cactus and thorny brush when they needed to. Or they could be rolled down to cool off. Often they would store small items in the rolled up part. Look at the wide cloth headbands. These are another Apache trademark. Almost all the men wore them. They would absorb sweat and keep it from trickling down into the eyes. The headbands are also thick to absorb the heat of the hot sun in their desert environment. The short skirt or breechcloth is another standard piece of clothing for Apache men. They are wearing European style shirts and maybe pants too. They probably got these from traders. 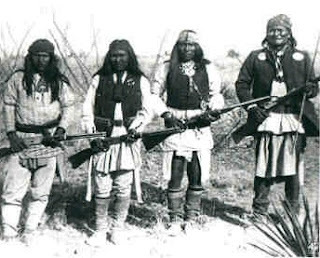 This is what Apache men wore after 300 years of contact with the Europeans. Their coats, belts, vests, and guns are all European and not Indian. The blue coat of a dead soldier also made for an appropriate trophy...but it would get you killed or mutilated if the army caught you wearing it. When in the desert, it's often a good idea to emulate the general practices of the Apache, or you'll end up with cactus thorns in your feet, ankles and legs. You'll also note that the Apache carried firearms. That's not politically correct in America today, but it's (still) not a bad idea to have a firearm and a good knife with you when you're out there. Sling the M-4 and the canteen, wear canvas trousers that deflect thorns and snake fangs and wear stout boots because the cactus thorns will penetrate gucci footwear with devastating effect. When I was a young man, learning to jump out of a perfectly good airplane, wearing a parachute, we were instructed to shout GERONIMO! If the static line hadn't pulled off the deployment sleeve of the chute by the time we said the word, we were told to consider emergency procedures to kick loose of the main and deploy the reserve. We jumped at 3,000 feet and there was time before we would hit the ground. Later jumps at 800 feet were not as forgiving and nobody carried a reserve chute. His name was Goyahkla. 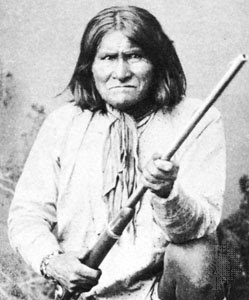 He beat the Mexican army on "St. Geronimo Day" so soundly that they forever called him Geronimo. The name stuck. Geronimo was never actually a chief but he was a very successful raider who knew the land and was able to use vast swaths of the Desert Southwest to out-fox many thousands of soldiers who were sent to bring him in. The desert has water - almost everywhere. You just need to know how to find it and how to use it. The Apache didn't need that much water to survive in the field. The American Army required vast quantities of it. In the land occupied by the Apache, that became a problem. Was Geronimo that good or was the Army that bad? In the end 25% of the entire US Army was required to bring in 36 Apache warriors. This (LINK HERE) documentary is not bad, laying out the facts. After they submitted/surrendered, the White Mountain Apache, the Yavapai Apache, the Chiricahua and others had difficulty living at the San Carlos Reservation and tended to drift between there, the Fort Apache Reservation (directly north) and the reservation at Camp Verde. That became the Army's problem. If you look at the face of Geronimo (top of this page), you can speculate what sort of raider he was. There were a lot of bones left behind in the sun. The San Carlos Reservation is one of the poorest Native American communities in the United States, with an annual median household income of approximately $14,000 in 2000, according to the US Census. I hesitate to speculate what percentage of that $14K income is spent on alcohol. About 60 percent of the people live under the poverty line, and 68 percent of the active labor force is unemployed. The San Carlos Apache Indian Reservation encompasses 1.8 million acres of land area in northern Graham , southeastern Gila, and eastern Pinal Counties. 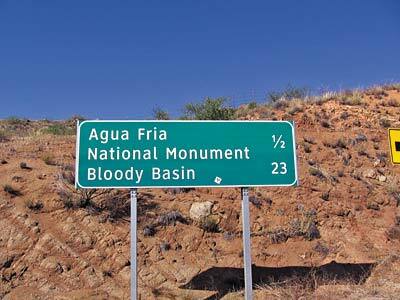 I drove north from expedition headquarters in Scottsdale on I-17 and ran across "Bloody Basin Road". 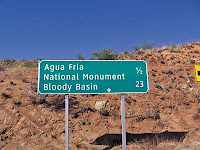 Bloody Basin is located in Yavapai County, along Bloody Basin Road, 23 miles east of Exit 259 at I-17. Unsurprisingly, you get there by driving along the road of the same name. In early March, 1873, a band of Tonto-Apache attacked and killed a party of 3 Whites, and torturing one before he died. The atrocity spurred a punitive expedition under the specific command of Capt. George Randall, and the general command of General George Crook. 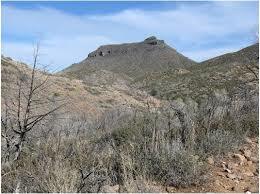 The Apache were tracked to Turret Peak, a Yavapai stronghold in central Arizona. Naturally, other Apache, scouts for the Army, did the locating. In late March of that year, Randall and a group of soldiers and scouts crept up Turret Peak at midnight under a full moon. At dawn they attacked. The Apache were so taken by surprise that they panicked, many of them jumping off the mountain precipice to certain death below. Those who resisted were quickly killed or surrendered. 57 Indians were killed, with many more injured. No soldiers were killed. Several of them were later awarded the Medal of Honor. My sense is that if it had been Geronimo's band, they would not have been so easily defeated. However, the loss to the soldiers demoralized the Apache, who felt that the defeat at Turret Peak (sacred ground) meant that God had forsaken them. Two weeks after the battle many of the Indians surrendered to General Crook at Camp Verde and were removed down to the San Carlos Reservation, not to return for decades later. The history of the Apache is burned into the Arizona landscape and remains with many such arcane details, ignored by most modern people as they rush from place to place in their cars and motor homes.